Canberra: Australia's pace spearhead Mitchell Starc has been under fire for his lacklustre form during the home summer but team mate Nathan Lyon dismissed the criticism on Wednesday. 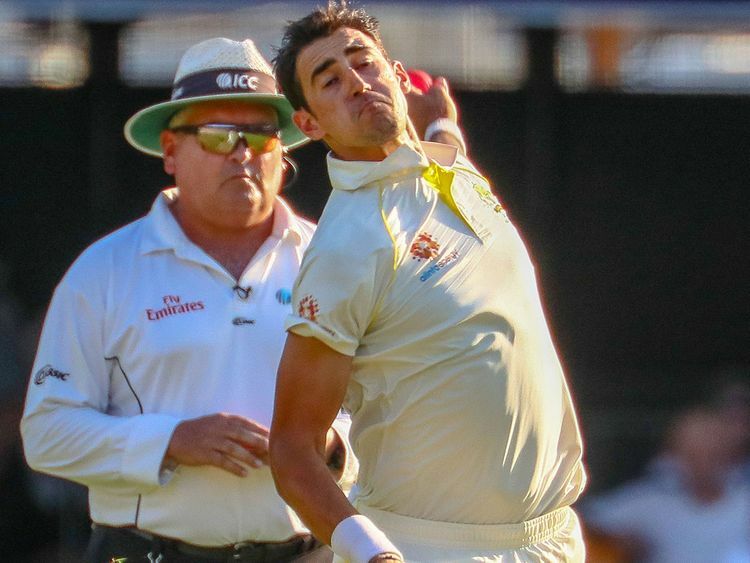 Left-arm fast bowler Starc has been wayward of late and picked up 15 wickets in five tests during the four-match series against India and the opening game against Sri Lanka last week. The 29-year-old went wicketless in the second innings against Sri Lanka in Brisbane with Pat Cummins leading the hosts to a victory by an innings and 40 runs and a 1-0 lead in the two test series with 10 wickets. Jhye Richardson, who came in for the injured Josh Hazlewood, shared the new ball with Starc in Brisbane and picked up five wickets on debut. Former national selector Mark Waugh has been among critics who have pondered taking the new ball off Starc and giving it to Cummins. "I don't understand all the criticism to be honest. Mitch is one of my best mates and I will back him to the hell and back," off-spinner Lyon told reporters ahead of the second test starting at the Manuka Oval on Friday. "He's bowling fast, he's moving it, he had the ball reversing in the nets. He's an X-factor. He's got 200 test wickets. "If anyone gets 200 test wickets, you must know what you are doing, you must be confident. I will back Mitchell to come out and play a massive role for us in every game he comes out to play for Australia." Cummins has also publicly backed Starc and said he was happy to be Australia's first change bowler. While Manuka Oval, which is making its debut as a test venue, is not expected to offer as much help for the fast bowlers as the Gabba, Lyon has backed Starc to find form. "I am looking forward to watching him this week and hopefully bowl really well with him in partnership," Lyon said. "That's the biggest key, if we can bowl well in partnerships, doesn't matter who it is, hopefully we will take 20 wickets. "The best thing about this bowling attack is that we know our roles in the side so I think it is really important that we keep playing our roles and sticking to that. "Mitch has got all my support, and that whole change room's support."